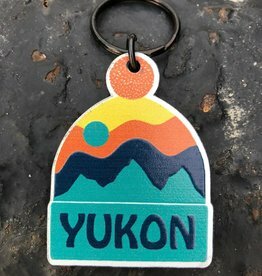 The smell of the Yukon! 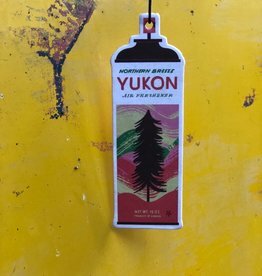 The perfect little pine scented air freshener. Designed By Tom Froese. Hard to think of anything more Canadian. 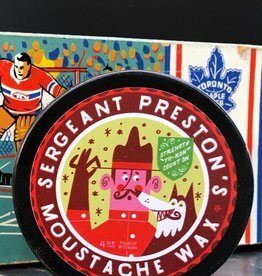 The perfect souvenir hockey puck - put it on your shelf or put it in the net. Designed by Tom Froese. Take off eh! 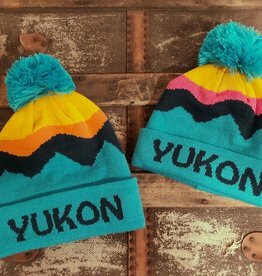 with one of our Yukon landscape inspired toques. Available in adult or kids sizes in both orange or pink! Take off eh! 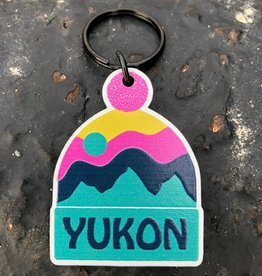 with our Yukon landscape inspired toque keychain. 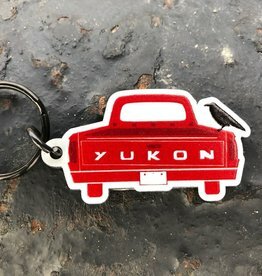 Our classic yukon truck motif as a handy keychain. 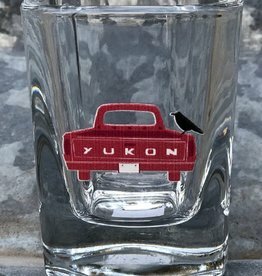 This Yukon truck shot glass is sure to give a touch of class to any liquor cabinet -Cheers!